I have been changing up my skincare routine recently. Partly to do with a bout of bad skin and also wanting to try something new. 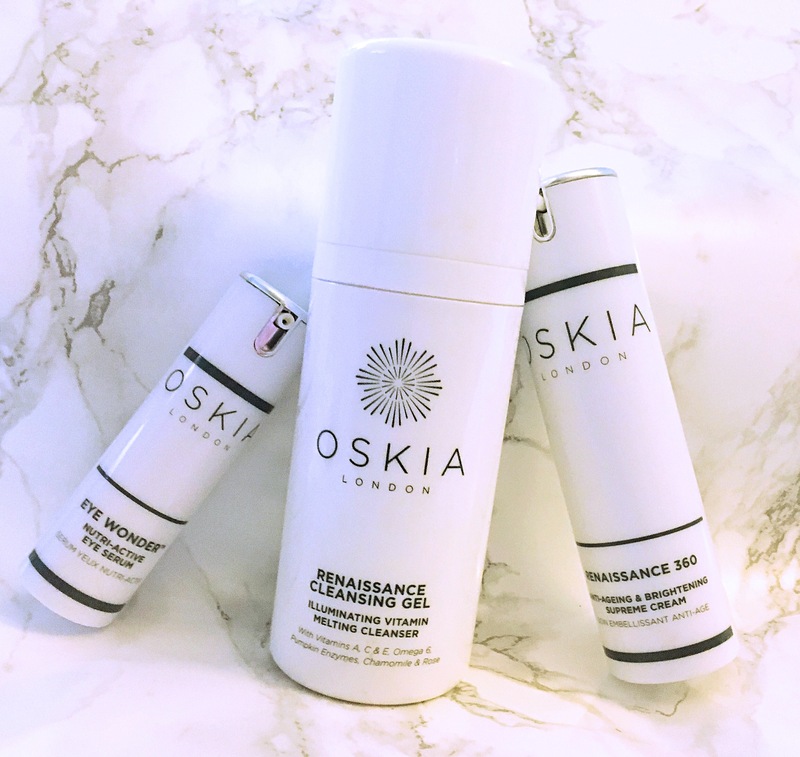 I have always been intrigued by OSKIA as brand and have heard the raves about their cleansing gel. The packaging is clean and slick…I managed to get my hands on the full range and here are the best bits! I use the Renaissance cleansing gel. 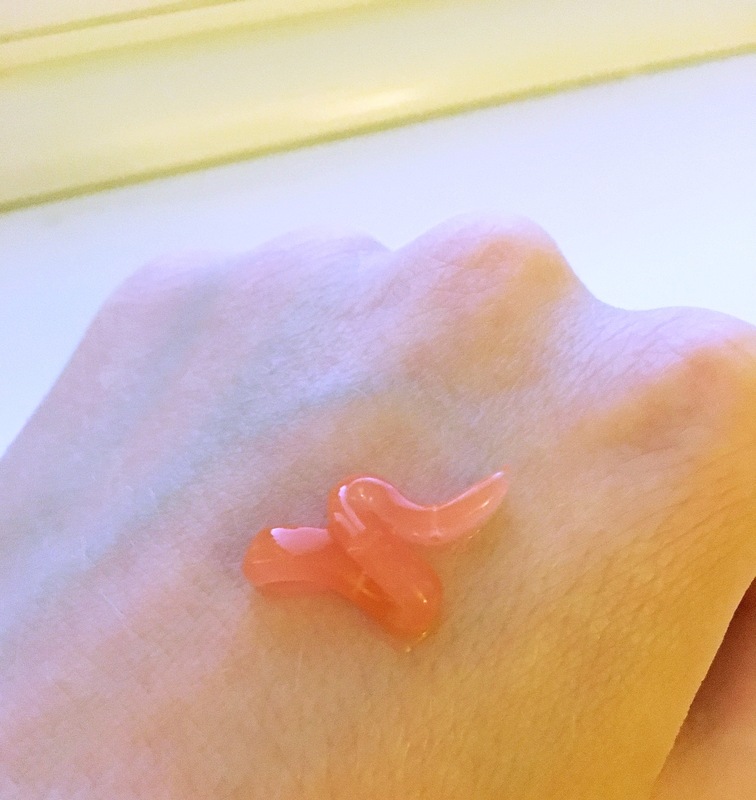 It pumps out a pretty pink colour and has a gel like texture. Rub this all over your face (safe for eyes too). It feels balmy at first but add a little water and the texture disappears into a milky lotion. Use a muslin cloth to remove the excess and you are squeaky clean but hydrated. The scent of OSKIA products is lightly rose like. This gives them a luxurious feel on the face. Next I apply my serum, Super 16 serum is a light smooth texture, boosts collagen, hydrates and is anti-ageing. 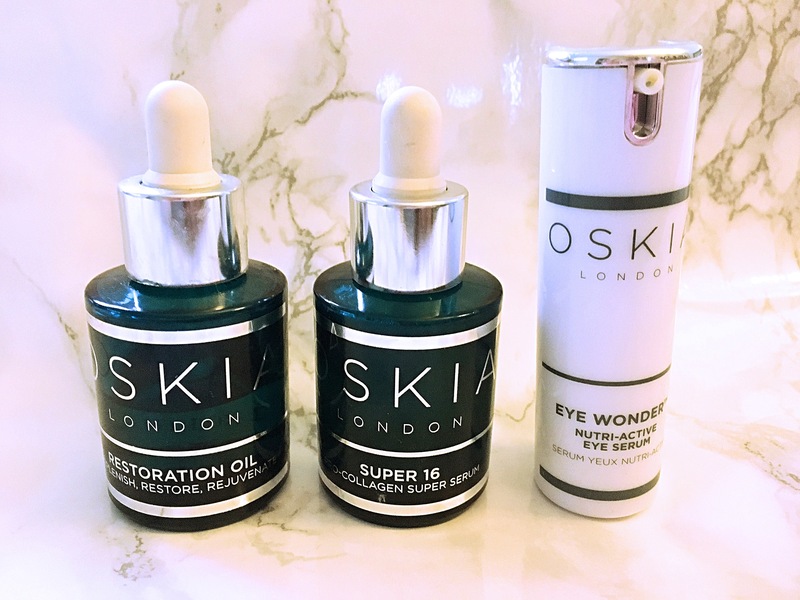 Take a little Eye wonder an eye cream and serum in one and rub together on your ring finger. Patt this all around the eyes area. This boasts a lighter texture and it really sinks in quickly. It reduces puffiness, dark circles and hydrates ready for makeup. Restoration oil I use this product either at night mixed in with my moisturisers or during the morning. 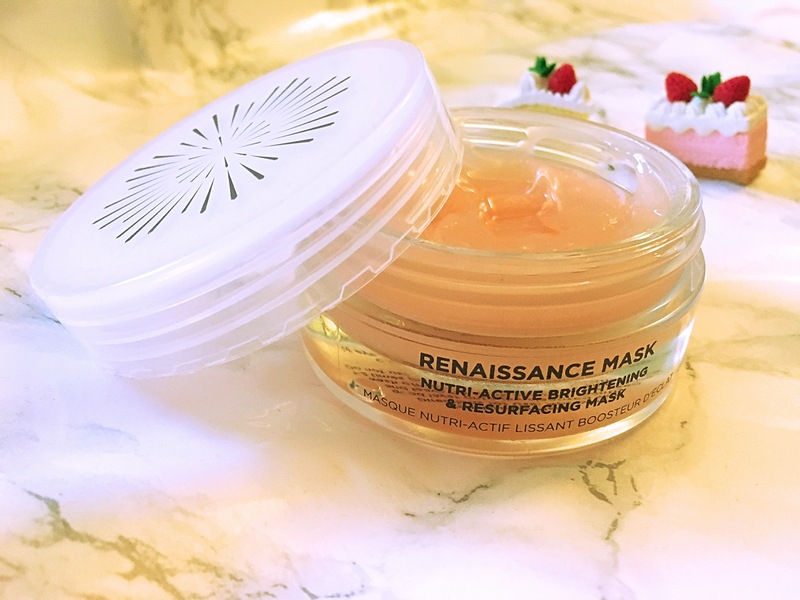 This helps to give my skin an extra hydration boost and it’s one of their most hydrating products. 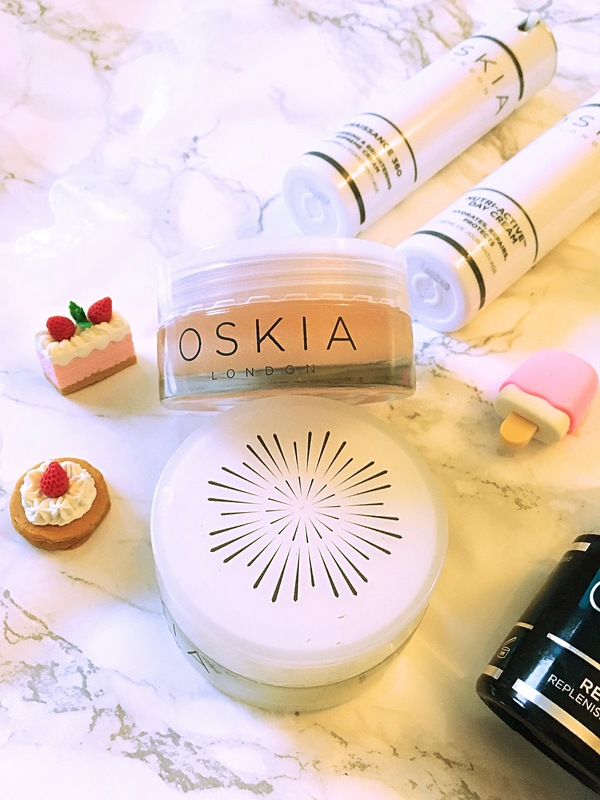 OSKIA have two day creams and I alternate between the two. Nutri-active day cream is the lighter of the two. Mostly for hydrating the skin and great for oiler complexions. Renaissance 360 does it all. 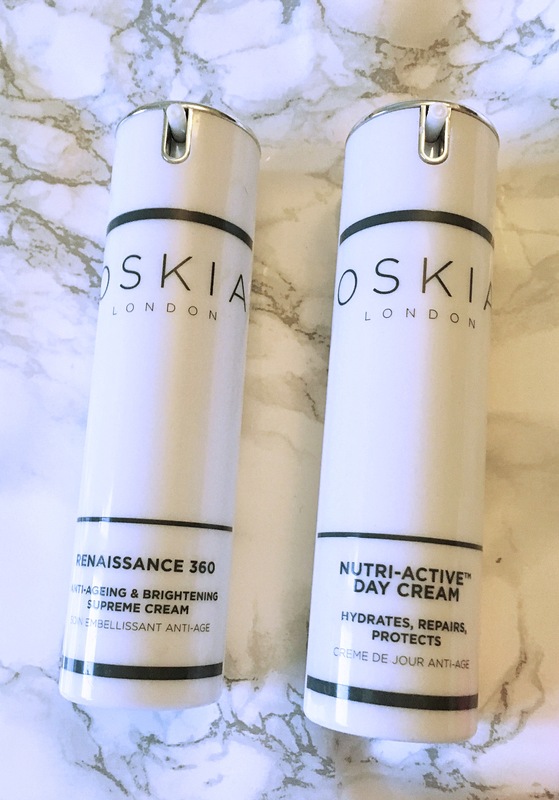 This is your anti-ageing and brightening cream. Also great for pigmentation an all rounder. It’s texture is slightly richer and would be better for older or dryer skin. Lastly we have the Renaissance Mask. The scent of this is very rose, it looks like a cleansing balm in the pot. As you massage on the skin it’s turns white and feels a little thicker. Leave on the skin for 10-15mins and wash off with a cloth. This leaves your skin super soft and great for that extra boost. It is an enzyme exfoliation which helps to take away dead skin sells. Use one or twice a week only as needed. Cleanising gel £29.50, Mask £49.50, Eye wonder £48, Day cream £60, Supreme cream £65, Super serum £82, Oil £62. ← Estée Lauder Bronze Goddess is here!